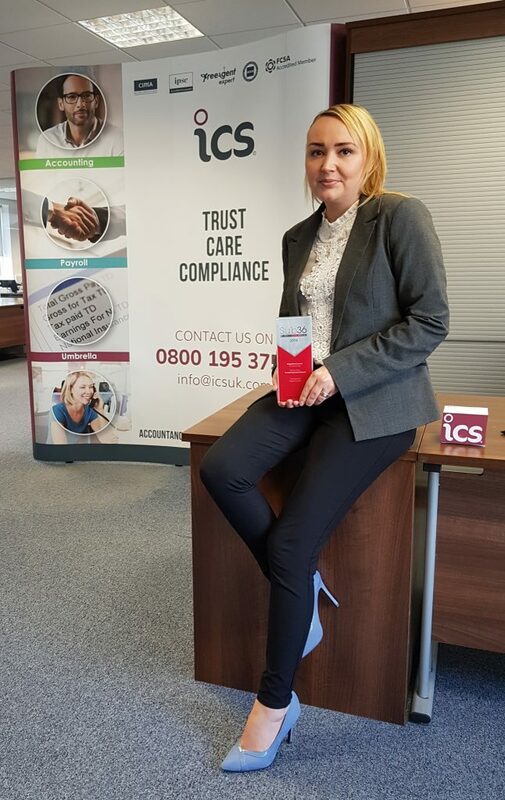 Our Head of Finance, Maggie Lawson, 29, took home the ‘Young Professional’ award at the Sub36 Awards in Blackpool after impressing the judges with her career progression at ICS since joining the company two and a half years ago. On a day to day basis, Maggie orchestrates and manage the external and internal accounts teams. She ensures our clients receive a high level of service by monitoring KPIs and reviewing systems so that we are constantly improving our offering. In respect of the group’s finances, Maggie manages the month end process and associated statutory reporting to ensure we not only hit deadlines but meaningful management information is available for the senior management team to real-time strategic decisions. A number of our accountants are training towards various accountancy qualifications. Maggie delivers internal accounting training and offers various opportunities for study support within ICS. We asked Maggie what she enjoyed about her current role at ICS. Meet the rest of the ICS management team. To find out more about the accountancy support we provide to contractors, freelancers and small business owners, click here.